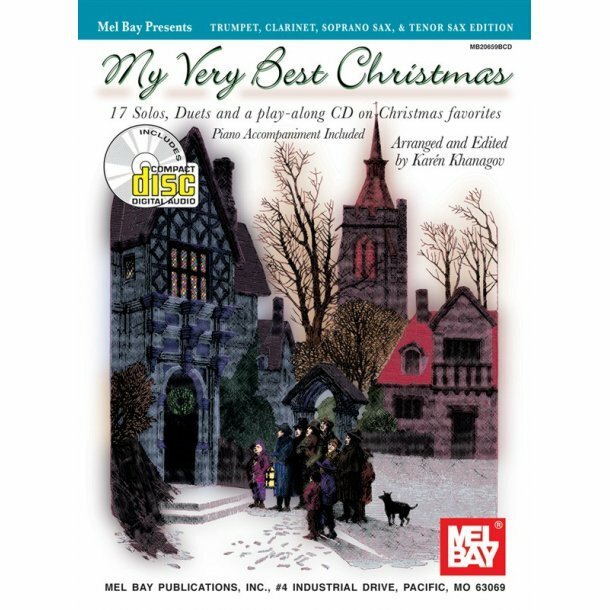 The seventeen Christmas songs in this volume are arranged in comfortable keys for players at all levels and for all occasions. It includes two parts for either solo or duet performance and piano accompaniment. The books for flute, trombone, trumpet and alto sax are compatible so that ensembles may mix and match parts as desired. Suzuki groups may particularly enjoy these arrangements. The CD provides the piano accompaniments alone to be used for back-up, improvisatory play-along, or for pleasant listening by itself. 88 total pages.